Apartment in Palermo Hollywood, Buenos Aires - Industrial Spirit ! Spacious 730 square feet duplex in upmarket apartment building complete with pool, gym, sauna and hot-tub. Industrial Spirit blends with contemporary furnishings to create a space that works in perfect harmony. Concrete floors, glass and double height ceilings provide the industrial ambience, whilst splashes of colour throughout add an northern Argentine feel. On the ground floor, the open plan kitchen, with its minimalist feel comes fully equipped with everything you might need. The living area features a 32’’ screen TV, comfortable seating and provides access to the generous balcony area, with panoramic views. The large glazed windows make this a light filled room from dawn to dusk. The bedroom, with king size bed is located on the mezzanine level, along with the well appointed bathroom. This building comes complete with a rooftop pool, gym, sauna, hot-tub and benefits from 24 hour security. 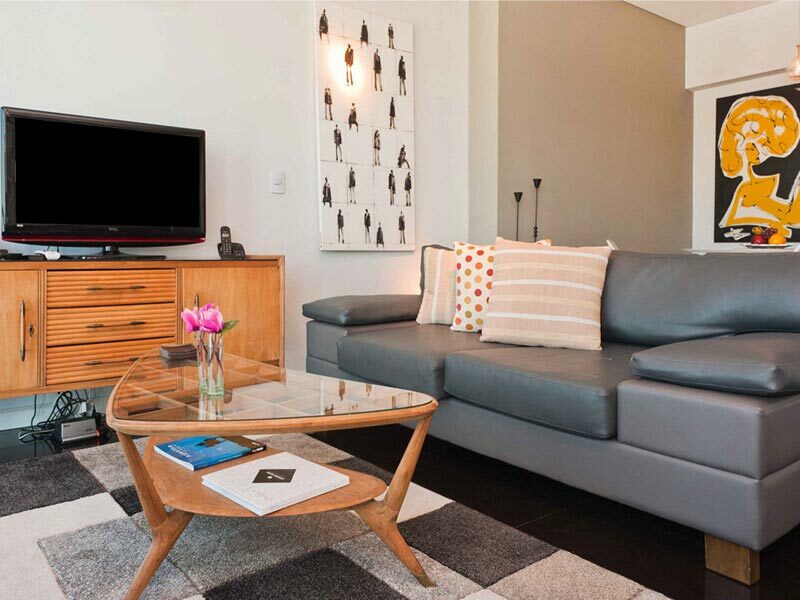 There is no doubt that your stay at this loft will make for an unforgettable Argentine experience.